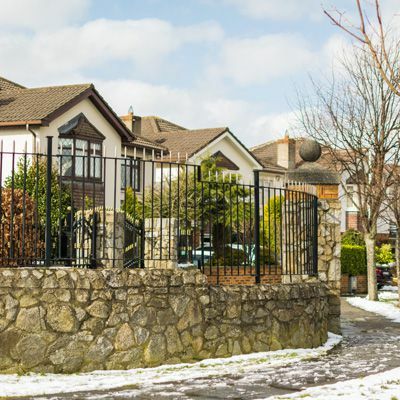 Use Perfect Property to find your next perfect house to buy in Stillorgan. Stillorgan is a beautiful and established town located 9.7km south of Dublin’s city centre. It is about a 35-minute drive by car via the R138, N11, and M50 Motorways. The Luas Green line and a number of Dublin Bus routes primarily service the area. There is also an Aircoach service, which provides direct access to Dublin Airport. Stillorgan is rich in historical landmarks, making it a wonderful place for families of all ages to learn and grow. Stillorgan homes are traditional in architecture and old-world charm. The town features many customary housing developments, yet also embraces modern technological advances. Residences are treated to views of blossoming gardens, leafy terraces, manicured landscaping, mature trees, verdant parkland, embellished shrubbery, and the idyllic Village Centre. Many homes are in convenient walking distance to a number of local attractions. Home styles embrace Period design, and one can expect to find styles of Red Brick, Victorian, Georgian, Mid-Century, Edwardian, Manor, and contemporary. Newer construction and refurbished dwellings offer: modern amenities, tasteful décor, spacious living accommodations, and sustainable energy efficiency. There are also a number of historical homes nestled along Stillorgan. Stillorgan is primed with shopping at the Village Centre. This large complex features retail shopping, supermarkets, convenience stores, boutiques, banking, healthcare facilities, sporting and recreational activities, and a number of small businesses. Stillorgan is also host to delicious restaurants, cafes, coffee shops, and pubs. The town is rich in historical sites, including Stillorgan Castle, Stillorgan Reservoir, and the obelisk. Greenery is plentiful, and there are numerous walking, cycling, and picnicking trails for recreation and leisure. Stillorgan also has sporting facilities and activities such as GAA Club, Stillorgan Rugby Club, Glenalbyn Swimming Club, Glenalbyn Social & Athletic Federation, and Cycle Studio. Stillorgan is host to a number of primary, secondary, and national schools. There is also a Scoil school and a third level school. The town values academic excellence as a top priority, and Stillorgan school awards include the Green Committee Awards, Tidy Schools, and Irish Book Awards. You can filter Stillorgan properties by price, bedroom size, square footage and more. There is also the option to filter by a property must-have, such as a large kitchen if you are seeking a house to buy in Stillorgan where the whole family can help with cooking or even a newly renovated or refurbished property. You can also check apartments for sale in Stillorgan if you are looking for something a little smaller. Don't let the perfect apartment, townhouse or house for sale in Stillorgan get away. Looking to rent in Stillorgan? Search houses for rent in Stillorgan and filter by home types, price and size.